21st Century Cranberry Juice is 100% natural juice extracted from fresh, mature carnberries, to provide the full unadultered benefits of cranberries. Cranberry is a relatively small, red berry which grows on low-hanging vines in temperature zones in many regions of the United States and other parts of the world. Cranberry can be taken as a juice, the whole berry, or from an extract. For maximum health benefit, cranberry juice should be unsweetened. 21st Century`s high quality Cranberry Juice produces hippuric acid in the urine, which acidifies and cleanse the urine, and inhibits bacterial growth. 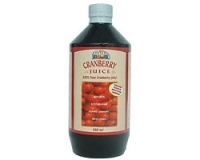 21st Century Cranberry Juice from U.S.A does not contain any form of sugar as sweetened Cranberry will eliminate the antibacterial function of pure cranberry juice. 21st Century Cranberry Juice is 100% pure and the most natural and original form of Cranberry Juice you can obtain. Drink half a cup daily to enjoy the protective properties of 21st Century Cranberry Juice. 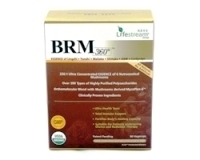 To treat urinary infections, drink half a cup 3 times daily.